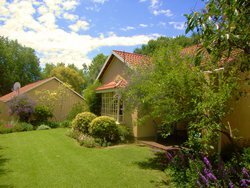 We have 10 spacious cottages set in beautiful lush and established gardens. These retirement village units are perfect for the discerning client who wishes to spend many happy years of retirement in tranquil surroundings. The monthly levies include domestic service and garden care. The purchase prices may vary depending on individual cottage improvements. Asisted Living and Full Care facilities are available nearby at Pioneer House in Oaklands or any of our other villages. Orchid Place is close to shops and the Rosebank shopping centre. A resident's right to remain in the accommodation depends on his/her health and ability. When a resident vacates the unit, it's refurbished at the resident's cost and resold. A percentage of the selling price is refunded to the resident. string(53) "Orchid Place Retirement Village – Flower Foundation"
string(1798) "                                        Cottages in the Orchid Place retirement village: We have 10 spacious cottages set in beautiful lush and established gardens. These retirement village units are perfect for the discerning client who wishes to spend many happy years of retirement in tranquil surroundings. These retirement village cottages can be purchased on a Tenancy Right basis 10 Two bedroom cottages. 2 Three bedroom cottages. 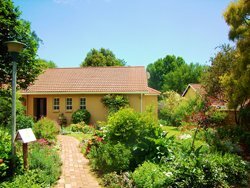 The monthly levies include domestic service and garden care. The purchase prices may vary depending on individual cottage improvements. This is what you can expect from Orchid Place retirement village: • Perimeter is secured • Hand-held emergency panic buttons • Attached garage for each unit • Manager and matron visit regularly and are always on call • Community centre available for meetings and socials Asisted Living and Full Care facilities are available nearby at Pioneer House in Oaklands or any of our other villages. Orchid Place is close to shops and the Rosebank shopping centre. Here's how Tenancy Rights work: A resident's right to remain in the accommodation depends on his/her health and ability. When a resident vacates the unit, it's refurbished at the resident's cost and resold. A percentage of the selling price is refunded to the resident. The value of the unit is market-related and generally increases in price each year. The repayment of the Tenancy Rights to the resident is based on a sliding scale: 70% refund in first 6 months 60% refund 7-24 months 50% refund 25 months onwards For more Flower Foundation retirement villages, click here..."
string(31) "Orchid Place Retirement Village"
string(146) "Retirement village in Houghton for the discerning client who wants to spend many happy years in retirement, located near Rosebank shopping centre." string(1793) "                                        Cottages in the Orchid Place retirement village: We have 10 spacious cottages set in beautiful lush and established gardens. 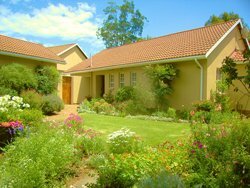 These retirement village units are perfect for the discerning client who wishes to spend many happy years of retirement in tranquil surroundings. These retirement village cottages can be purchased on a Tenancy Right basis 10 Two bedroom cottages. 2 Three bedroom cottages. 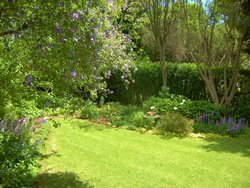 The monthly levies include domestic service and garden care. The purchase prices may vary depending on individual cottage improvements. This is what you can expect from Orchid Place retirement village: • Perimeter is secured • Hand-held emergency panic buttons • Attached garage for each unit • Manager and matron visit regularly and are always on call • Community centre available for meetings and socials Mid care and Frail care facilities are available nearby at Pioneer House in Oaklands or any of our other villages. Orchid Place is close to shops and the Rosebank shopping centre. Here's how Tenancy Rights work: A resident's right to remain in the accommodation depends on his/her health and ability. When a resident vacates the unit, it's refurbished at the resident's cost and resold. A percentage of the selling price is refunded to the resident. The value of the unit is market-related and generally increases in price each year. The repayment of the Tenancy Rights to the resident is based on a sliding scale: 70% refund in first 6 months 60% refund 7-24 months 50% refund 25 months onwards For more Flower Foundation retirement villages, click here..."
string(29) "Small centre with kitchenette"
string(31) "Every unit has a lock up garage"
string(61) "A Matron visits the village weekly to hold a wellness clinic." A Matron visits the village weekly to hold a wellness clinic.